Grief is hard for everyone, but did you know there is a type of compounded grief that often goes unacknowledged? This type of grief can be difficult to experience but increasing understanding and resources can help you or your loved ones heal. Loss and grief are an unavoidable part of life. How we cope, make meaning, and move through grief can be unique to each person. It’s important to recognize that all types of loss are real and leave a mark. Having our grief recognized and acknowledged by society can play a role in how we react and cope with loss. Unfortunately, there are certain losses that may be ignored or minimized by others around you. Yet these losses can still cause legitimate, valid distress. If society doesn’t recognize the specific loss, we may not acknowledge it ourselves or may not seek out and receive support. This in turn creates more suffering. The more emotional pain is suppressed, the more it hurts in the long run, making it more difficult to move forward. Unrecognized or disenfranchised grief (Doka, 2002) may make it seem like we should not be feeling what we’re feeling or thinking about the loss; that our experience is unimportant or even wrong. We may hide our true feelings and feel more isolated or ashamed. This sense of disconnection from the rest of the “human tribe” can thwart healing, like a wound that never quite gets to scab over. Disenfranchised grief can occur in different ways based on the type of relationship and the type of loss. For example, the death of a “blood relative” is often acknowledged, whereas relationships that are considered more distant or deemed less important by society may be dismissed. The less recognized types of relationships may be those we have with a co-worker, a pet, an ex-spouse, a grandparent, a step-child, a partner, a stillborn child, or a neighbor. Types of losses that are not death related may also be viewed as less important or worthy. But the loss of mobility or function, a medical diagnosis, infertility, divorce, loss of mental capacities, financial loss, or losses associated with immigration are just the tip of the iceberg of possible losses that deserve recognition and space for healing. When the cause of a loss is seen as a socially unacceptable, such as drunk driving, violence, addiction, and/or suicide, grief may be hidden from others because it is taboo to share. The additional feelings of guilt, shame and blame can further make it challenging to discuss the loss and seek out support. 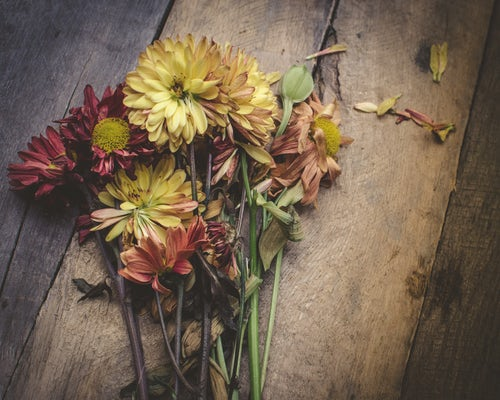 It is not helpful to those who are grieving to compare or rank the importance of one type of loss over another. The meaning of that relationship or loss can vary from person to person. Regardless of how others perceive what you’re going through, your experience is true to you. Our hearts, minds, and bodies can not be told who or what we should grieve, when, or how. There are no band-aid solutions or prescribed ways to grieve. But we must acknowledge the loss and grief as legitimate, real, and worthy of support. If you’ve experienced a loss of any kind, your grief is valid and real. Honor your experience by giving it voice, express yourself or consider creating a meaningful ritual. There are also support groups and communities who can hold space for you as you move through your grief. We here at Breyta can help you find ways to cope and move forward. Reference: Doka, K. (2002). Disenfranchised Grief. In Kenneth J. Doka (Ed. ), Living with Grief: Loss in Later Life (pp. 159-168). Washington, D.C.: The Hospice Foundation of America. Dr. Broustovetskaia specializes in working with clients who have experienced all forms of grief and loss, or who are navigating difficult life transitions. If you are interested in working with her, call (919) 245-7791 x3 or email her at abrousto@breytapsych.com.